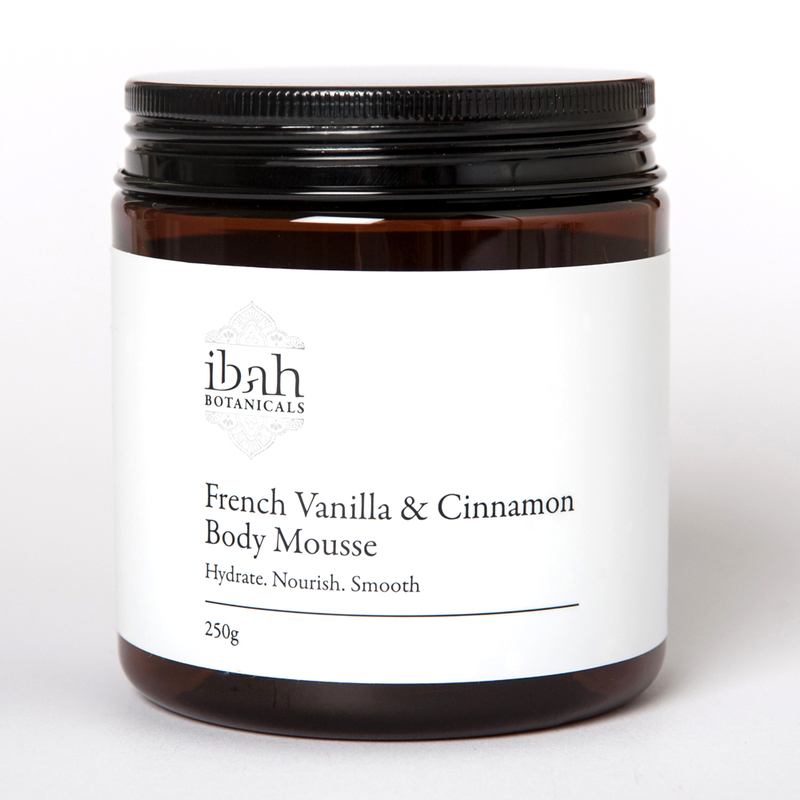 A luxurious warming and hydrating all natural body cream to suit all skin types. Nourishing cocoa butter for healing dry and sensitive skin, improving skin elasticity and skin tone. Coconut, almond and macadamia oils to prevent premature ageing by acting as physical barriers to environmental pollutants while sealing in skin moisture. Directions: Lightly massage a small amount onto you body after your morning and evening bath/shower, sunbathing or whenever hydrating is needed. Not for face or pregnancy. Cocoa Butter, Vegetable Oil Derived Emulsifying Wax, Distilled Water, Vegetable Oil Derived Glycerine, Sweet Almond, Macadamia and Coconut Oils. Amiox (Rosemary Antioxidant), Grapefruit Seed Extract Preservative, Vanilla and Cinnamon Essential Oils.